DC DEPARTMENT OF ENERGY & ENVIRONMENT — Led by DOEE, Hickok Cole Architects and partners have developed this draft proposal that presents a vision for enhancing the islands as a unique educational and recreational asset for children and residents of the District, an oasis in the city that will protect critical habitats and species representing the District, and work towards the goals of a healthy restored Anacostia River and an engaged community. WASHINGTON BUSINESS JOURNAL — Two dilapidated townhouses and a circa-1912 warehouse do not naturally add up to a modern, amenity-filled District apartment building. They do now. Equity and Hickok Cole Architects have restored and hand painted the brick walls and added custom-made fixtures that recall the warehouse’s industrial past. ENTREPRENEUR MAGAZINE — Director of Hickok Cole’s Richmond studio, Jessica Zullo, extols the usefulness of co-working spaces for networking, client engagement, and making connections between businesses with complimentary services. 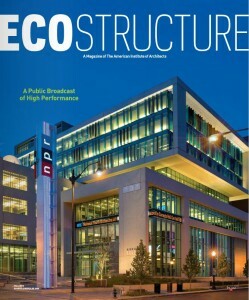 NPR’s new headquarters is featured as the cover story for the Fall 2013 Issue of Eco-Structure magazine. 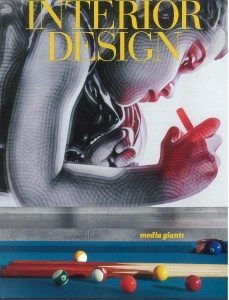 Article written by Kim A. O’Connell.